So you’ve found the love of your life and you know it’s forever. But what should you get him for his anniversary? Maybe you haven’t put that much thought into it. Even if this is the case, there are traditional anniversary gifts that go deeper than your simple run-of-the-mill gift goes. Following tradition does more than simply walking in the footsteps of the countless marriages that carried on before you. 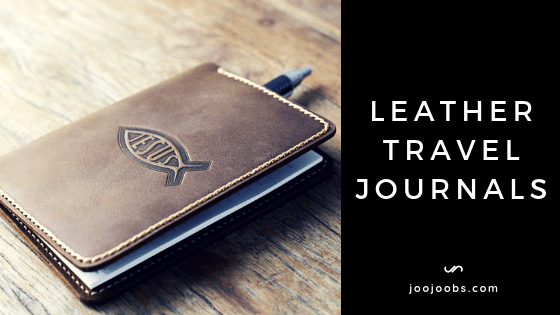 It provides a foundation for your marriage and builds a structure for the relationship over time. These traditions symbolize so much more and following them is something the person you love will definitely appreciate. Read on and take note of the traditional anniversary gifts you should keep in mind when celebrating the eternity’s milestones with your spouse. Shopping for paper wedding anniversary gifts for him likely seems difficult but it’s actually quite easy! Think about what your husband enjoys doing in his free time. One of the most popular paper gifts given at this time are tickets. So if your husband has a favorite sports team or band, grab a couple of tickets and make a night of it! Make sure to save the tickets and frame them. This makes for a fantastic little showpiece in your home. Displaying the tickets has never been easier! 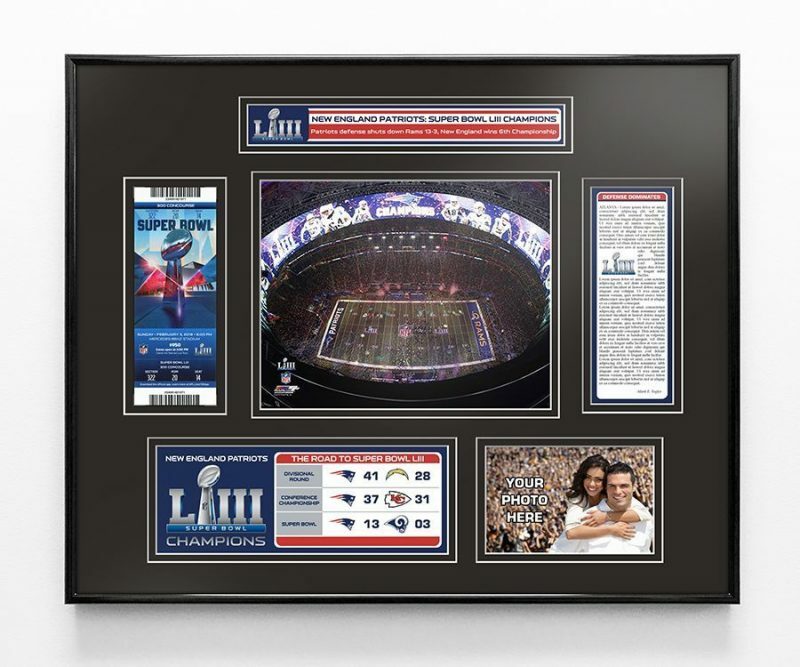 You’ll find everything you need to frame your tickets here. What would your husband want that is made out of cotton? He likely has a bunch of cotton shirts already. Cotton underwear likely isn’t the right move to make. This is a totally cute present and it adds a nice touch to the living room couches or even the bedroom as throw pillows! You can design and order custom pillowcases like these. 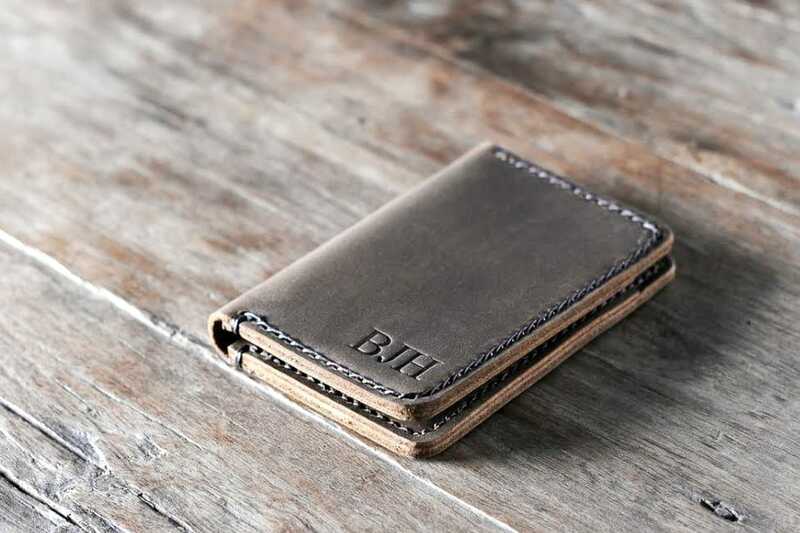 For the leather anniversary, you’ll find that a leather gift is the perfect choice to make. This material is the most masculine traditional gift you can give him. 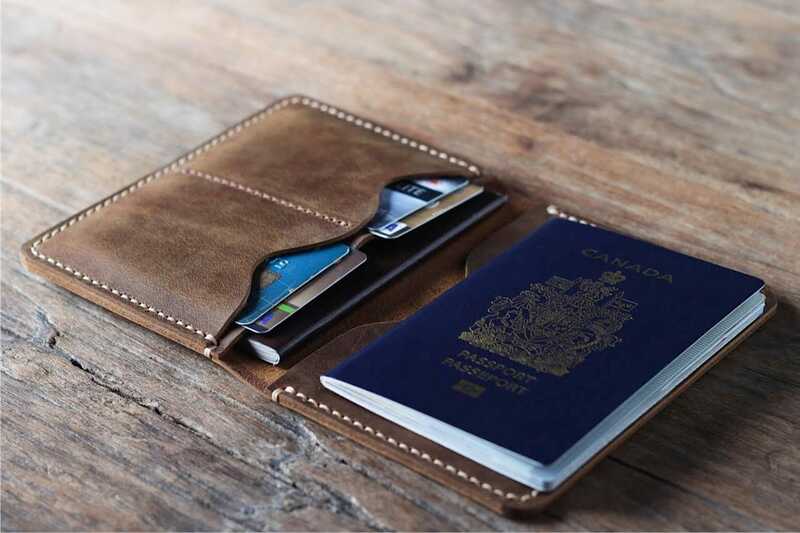 The tantalizing smell of beautifully crafted leather products is enough to bring a smile to any man’s face. 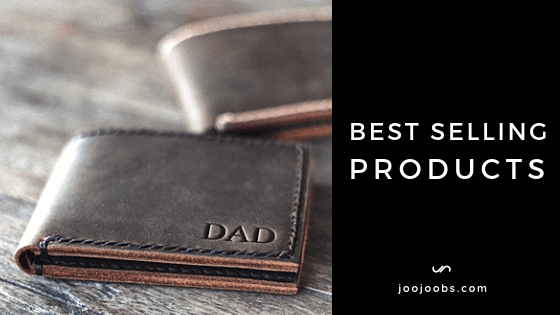 At JooJoobs.com, we offer the highest quality handmade customizable leather products available. 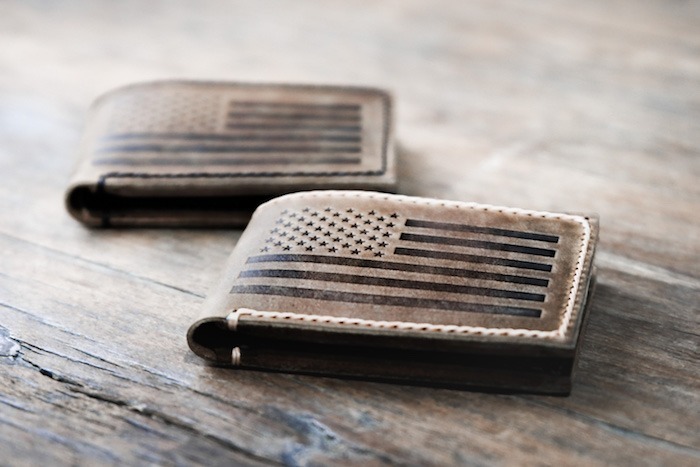 Right now, the most popular wallet for men is the American Flag Bifold wallet (shown). 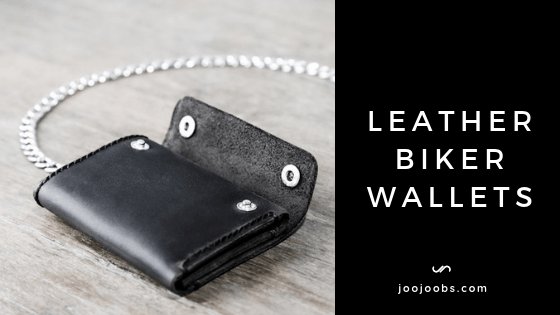 We can write anything you’d like written, allowing you to commemorate your leather anniversary in a way that will ensure he’ll see it every day! Whether you’d like a quote or a note memorializing your 3rd year anniversary, we can make it happen. 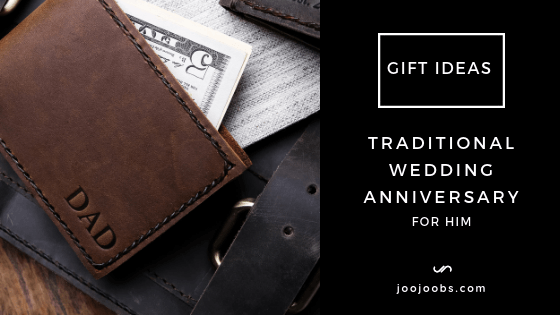 This is a special day that calls for the beauty of a quality leather gift and with such an impressive selection, you’ll find a unique traditional wedding anniversary gift that will surely have him ecstatic! 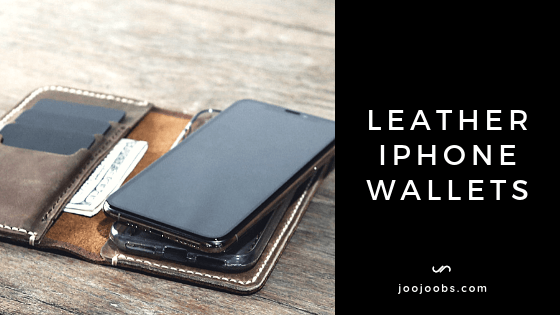 Some of our favorite options offered include leather iPhone wallet cases, credit card wallets, leather travel wallets, and money clip wallets, but there are so many options to choose from! 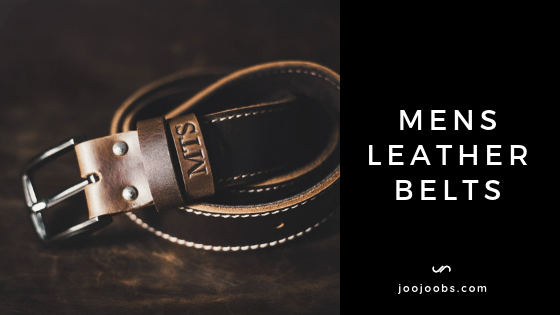 We have leather anniversary gifts that go beyond satisfying any man’s desire for something to complement his unique style. While some men might enjoy snacking on an Edible Arrangement fruit basket delivered to the office, others might prefer something a little more manly. The fruit baskets are super tasty and come with a variety of fresh fruits (you get to choose) but if that’s not something your man would enjoy, there are other options. Instead of eating apples, why not just by an Apple! Our suggested gift idea for the 4th year anniversary would be the super popular Ap​ple​ Watch. 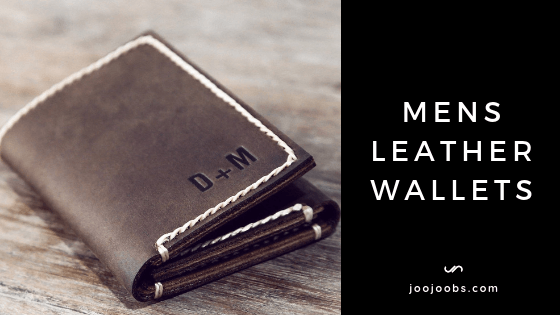 Ultimately, it’s up to you which direction you decide to take with this gift but we’re certain your husband will love anything you choose for him! 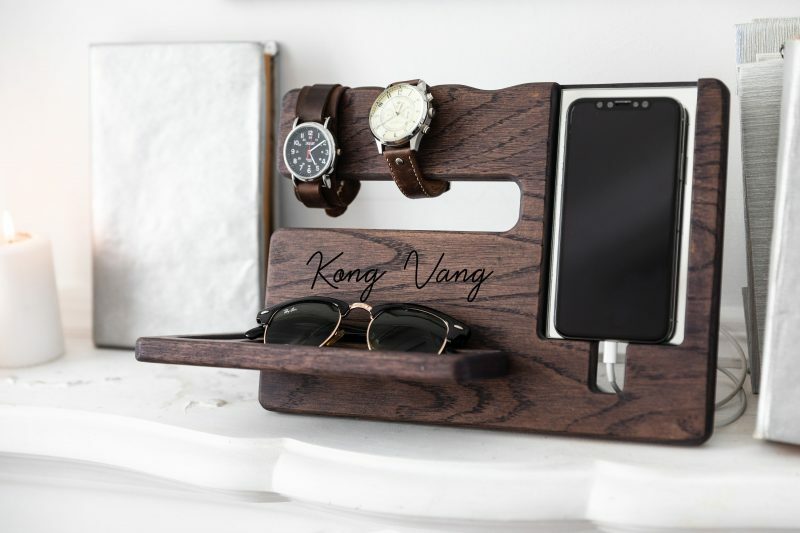 If you’re looking for the perfect wood gift for your husband, this docking station is it. 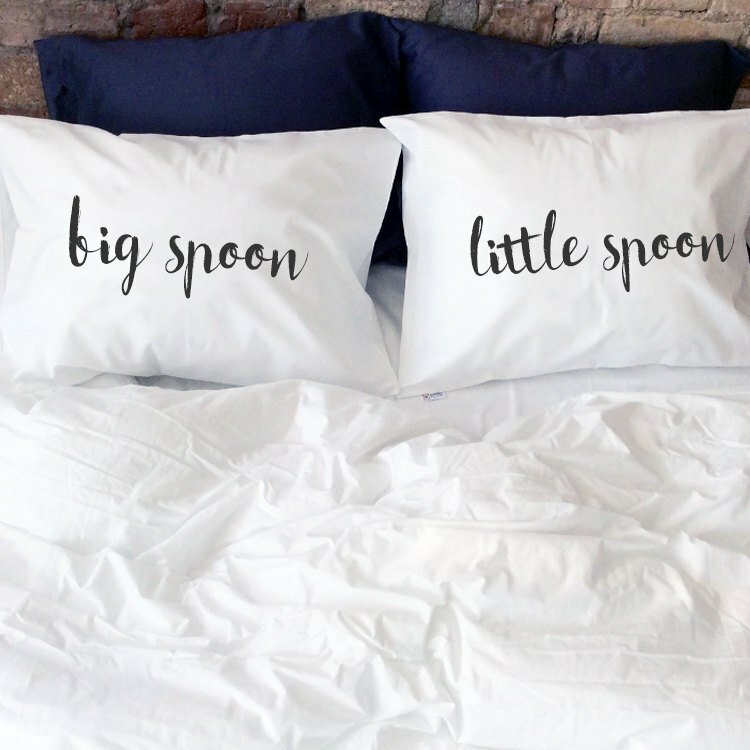 These are super unique and you can personalize them, making this something your husband can’t just throw in a bedroom drawer never to be seen again. You can totally personalize these as well, making them a prime option to gift to your husband to commemorate your 5th anniversary! They also come in blue, chocolate, or light colors, giving different types of wood you get to choose from. Each of these are handmade to order and hold watches, bracelets, a wallet, phone, sunglasses, and more. The iron year is one of the traditional anniversary gifts that will last a lifetime. It’s meant to symbolize the strength of your marriage, showing the way you’ll endure the tests of time together. As a decorative piece, there is no greater proclamation of your love for your husband on this anniversary than this fabulous iron scroll! You’ll get to personalize precisely what this iron scroll says, allowing you to show your love as well as write how you feel with this forever memento of your affection. These are definitely a must-give for anyone looking to showcase their love for their husband with a stunning hand forged iron gift. If you want a marriage that is going to shine like a new penny for all of eternity, the copper present is something you’ll want to get right! 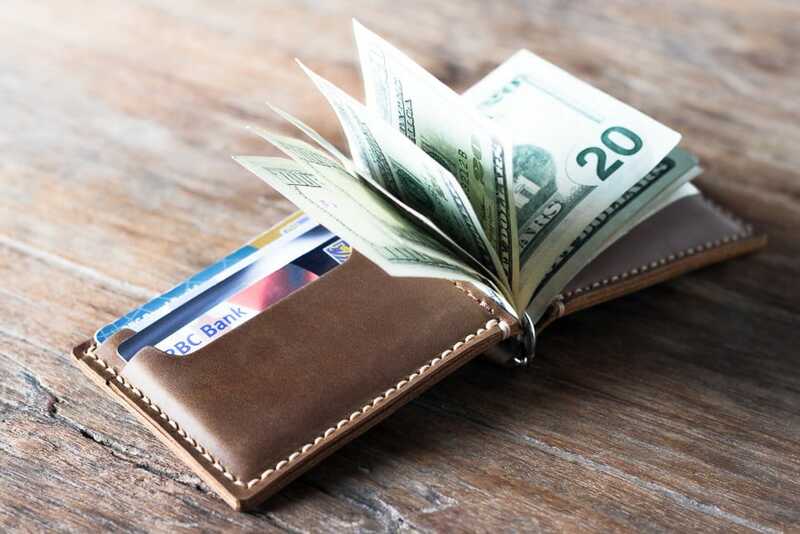 You’ll definitely want to check out these adorable copper wallet inserts that you can customize. They’re 16 gram copper cards that are stamped with your choice of words. You can even put a heart cut out! With the option of putting up to 200 characters, you’ll have plenty of space to say anything you want him to know forever. This gift will act as a beautiful reminder of your love and the incredible 7 years you’ve spent making each other happier than you both ever thought possible. 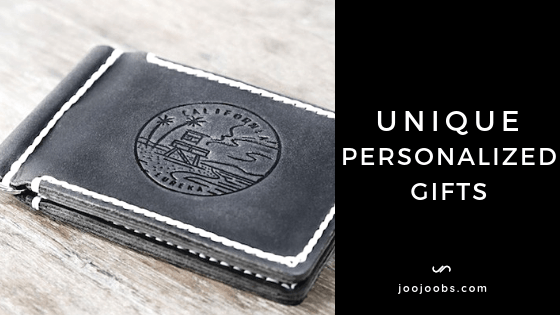 So bronze gifts for him can be hard to come by and we doubt there is anything that is more sleek and stylish than a personalized engraved pocket watch. 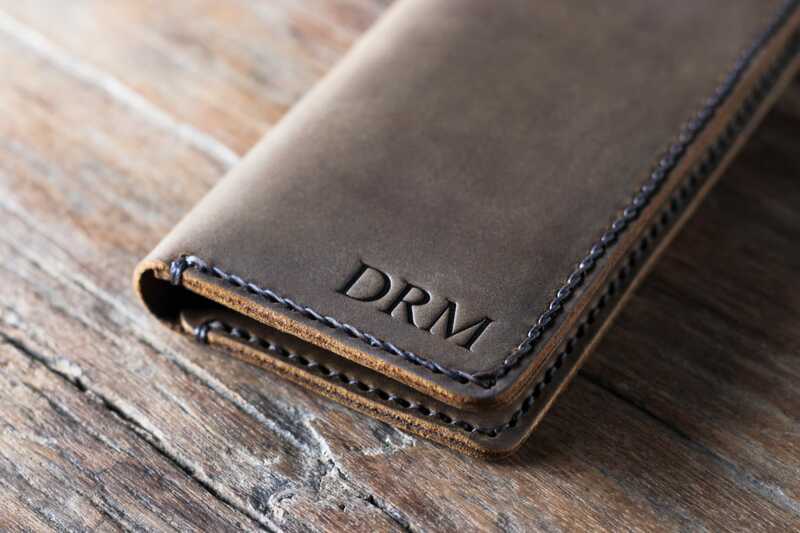 These guys offer the option to engrave a monogram of your choice as well as several other options of engraving. These engravings are totally custom as well, allowing you to say anything you want. The watches have a nice antique gold finish that gives them an aged look, making it so they are appealing to any man’s style. 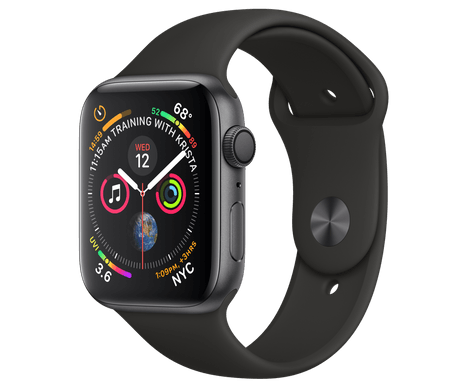 They also come with a 15” stainless steel chain with pocket clasp and batteries, ensuring your husband can use it the moment he opens it. With a handmade bronze watch this stunning, your husband will always know that although the clock is ticking, there is no one he would rather spend all of his time with. Pottery is not something your man is likely familiar with but if you’re looking for a unique pottery gift for him, scroll through the options UncommonGoods.com offers! 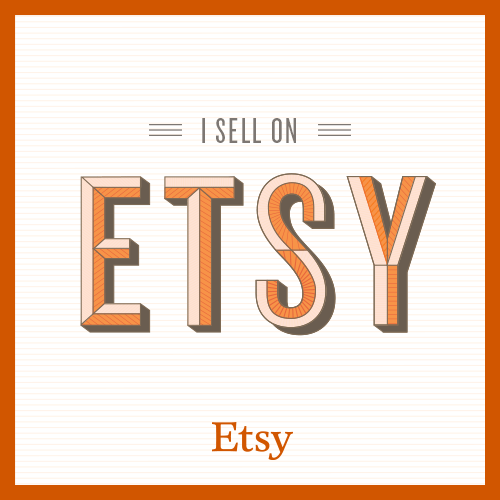 They have so many super cool and interesting pottery pieces that you’re bound to find something he’ll love within their inventory. One of our personal favorites is their The Mug with a Hoop, but your husband might like their Personalized Handmade Mosaic House Sign. Regardless of what you get him, know he’ll appreciate the effort you put into finding him something he’ll love! 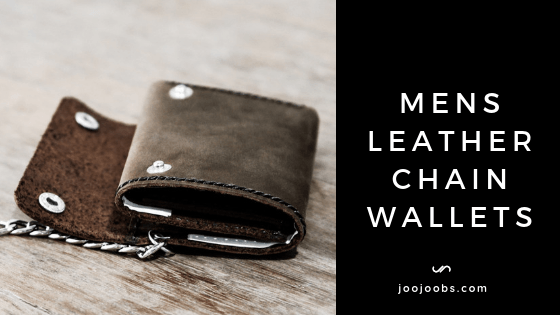 Finding an aluminum wedding anniversary gift for him might sound like a tedious task but it can actually be quite simple if you know what you’re looking for! We found this super awesome concept that your man is sure to love. These guys create Custom Date Anniversary Aluminum Signs that are cooler than anything he’d expect to receive as a gift. The signs are handmade and incorporate your wedding date by the month, day, and year. They also ship quick so if you’re running short on time, this is perfect. They’re mounted on wood plaques that are ready to hang up, making it so your husband can go straight out to the garage to hang it on the wall! This is definitely something he’ll look up at every time he is parking his car, working on his motorcycle, or organizing the garage! 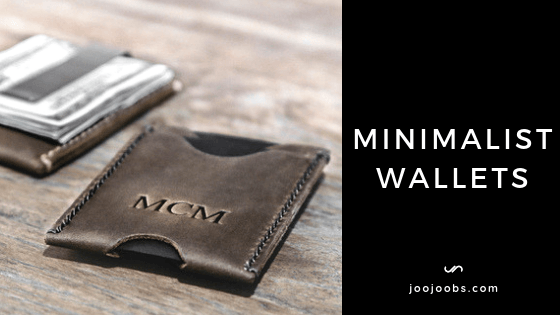 When you need a steel wedding anniversary gift for him that he’ll never forget, you’ll want to find some custom metal workers to create something incredible. This company offers custom steel signs that will blow his mind! These are customized to say anything you want and made to order. They’re made out of steel and you have unlimited options regarding what they can do. Thinking about having your wedding date in big steel numbers to put up in his garage workshop or office? These craftsmen can get it done. You’ll love the craftsmanship and care these guys put into their handmade steel signage. You’ve likely added the majority of the decor in your home so it’s time he gets a chance to shine! If he has an at-home office, he’ll love the rustic feel that the this desk organizer lamp will incorporate into your home. You’ll choose from four types of lamp sockets as well as whether you want an iPad charger hole, iPhone charger hole, both, or neither. These are handmade pieces and sport a unique design that will be sure to surprise the man you love! Lace is an especially difficult gift to give a man, especially when considering how feminine the majority of lace-themed gifts are! Looking for the perfect lace gift for him? You’ll want to check out this Lace/13th Wedding Anniversary Custom Couples Portrait that captures the essence of your wedding day in a way that will bring tears to his eyes. 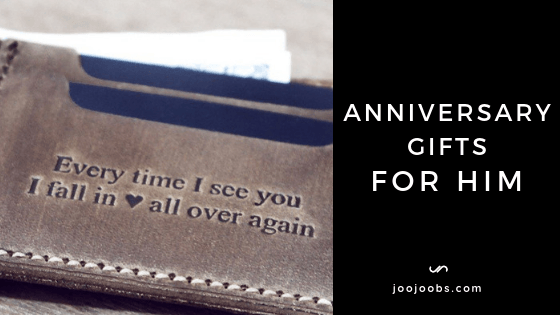 After 13 years of love and devotion, it’s easy to see that this anniversary gift for him will ensure he always has this magnificent remembrance of your wedding day! You’ll love this lace portrait and the beauty it’ll bring into your home. While the 14th wedding anniversary gift is supposed to be ivory, having an elephant themed or white present is a better option. As poachers continuously kill countless elephants for their ivory, supporting this prohibited slaughter of these gentle giants is something we definitely advise against. With this in mind, fabulous faux taxidermy elephant head that comes in a variety of colors is the right move to make. These heads are beautiful and if you still want to keep the ivory theme, you can even order it in white! The look on your husband’s face when he opens a box containing this piece will just go to show that even after 14 years of marriage, you’re still capable of surprising him. Crystal is one of the classiest materials known to man and with this in mind, you’ll want to get him something that brings the sophistication one would expect from a crystal present. Don’t know what to get him? Moser-Glass.com has a wide selection of gorgeous hand cut crystal pieces to choose from, including ashtrays, whiskey sets, and carafes. They’re capable of hand engraving them as well so putting the date you were married onto anything you order is also an option! Your husband will definitely enjoy adding a touch of class to his life with a stunning crystal piece. Fine bone china is exquisite and delicate but your relationship has lasted 2 decades, showing just how durable it is! These adorable Wifey/Hubby Fine Bone China Mugs are a must-give for the 20th wedding anniversary. Imagine sitting at your coffee table first thing in the morning before work and pouring a cup of coffee in these beauties. 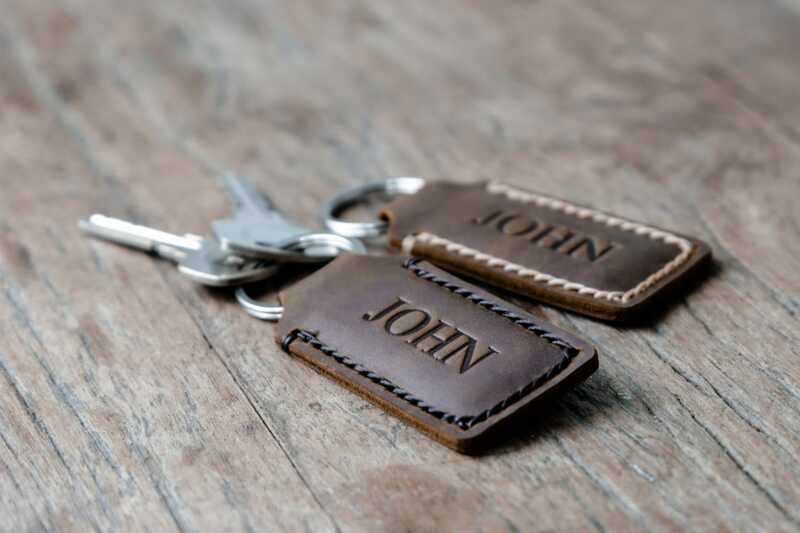 These are even customizable, allowing you to put your names and the wedding date on them! He’ll be psyched about these and you’ll both have matching adorable mugs to drink your favorite hot beverages out of! After 25 years of being married, doesn’t your king deserve a crown? Gorgeous crowns that will surely make his jaw drop are not too difficult to find. Whether your man loves medieval times or you’re looking to get it as a gag gift, this crown will surely make his day. Each of these crowns is handmade and come with a 100% full money back guarantee, ensuring that your money is being well-spent! This company stands behind their brand and the pictures of their work speak for themselves. Needless to say, a perfectly crafted silver crown will never cease to amaze a man on his wedding anniversary day! 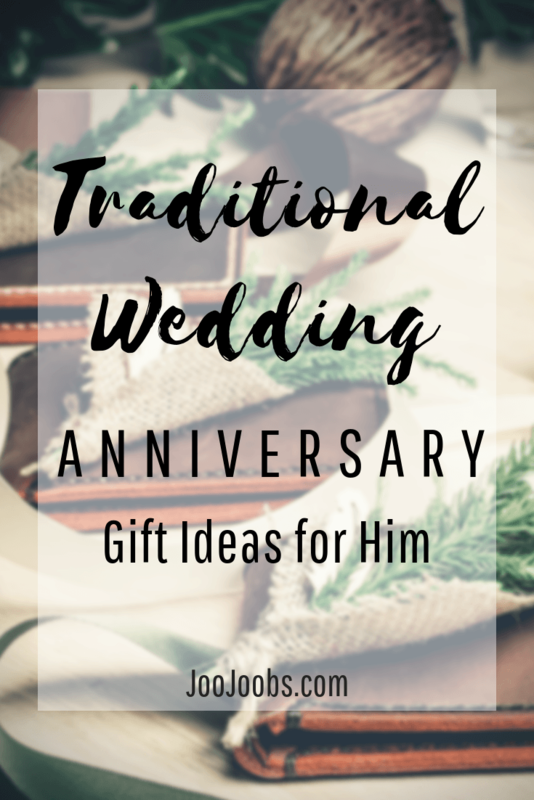 Pearl is another material that can be hard to figure out when it comes to choosing wedding anniversary gifts for him but it’s not impossible! This mens pearl bracelet is beyond awesome. Your man will love the 8mm lava stone beads paired with 8mm Black Akoya pearls for a unique look that attracts eyes from throughout the room. These are totally handmade as well, meaning no one else will have your husband’s exact bracelet. They’re super easy to order too. You’ll simply include your husband’s precise wrist size and they’ll make it special for him. If you don’t know his exact wrist size, simply use a strip of paper or a piece of string to wrap around his wrist while he’s sleeping and measure it with a ruler after! Coral is one of those materials you really don’t see too often so when it’s used in men’s jewelry, it really provides an aesthetic that is rarely observed and impresses! These titanium rings that have coral inlay within their custom-made bands, offering a gift for your husband that he can wear constantly. This is a 6mm titanium ring with a polished finish and a 2mm coral inlay encircling the entirety of the ring. They never tarnish and will not discolor your husband’s finger. Also, the titanium is an aerospace grade titanium, meaning its durability won’t allow it to get dinged or dented. These are also super lightweight as titanium is approximately ½ the weight of steel while still maintaining the strength you’ve experienced over the course of your 35 years of marriage! For those of you scouring the Internet for ruby-themed traditional wedding anniversary gifts for him, look no further! This is spiritual gift in the form of a black tourmaline, or raw ruby, gemstone energy bracelet. These are handmade and incorporate 10mm sphered raw rubies. They’re 7½ or 8 inches in length so if your husband has big wrists, they can accommodate him. These bracelets also have the power to heal by transforming dense energy into a lighter vibration, showing your husband just how much you care about his spiritual health. His spiritual energy will be grounded while he wears this bracelet as it cleans his aura and provides him with the perfectly balanced chakras he needs. The protective shield that it will create around his body is perfect for any man who is looking to avoid negativity. And if he’s not into spiritual appeal, it’s aesthetically pleasing as well! You’ve sailed some rough seas together over the last 45 years but you’ve not only acted as his first mate but the lighthouse guiding him home as well. This Mariner Compass Ring is a sapphire anniversary gift for him that will ensure your man will always know his way home. Saying that the ring will be perfect for everyday wear is a serious understatement. It will go with anything your husband wears and is sure to attract the right amount of attention. Your husband will love this beautiful ring so much he’ll likely never take it off, allowing it to act as a constant reminder that there is someone special awaiting his arrival home. Just because the 50th traditional wedding anniversary gift is gold doesn’t mean you have to break the bank! 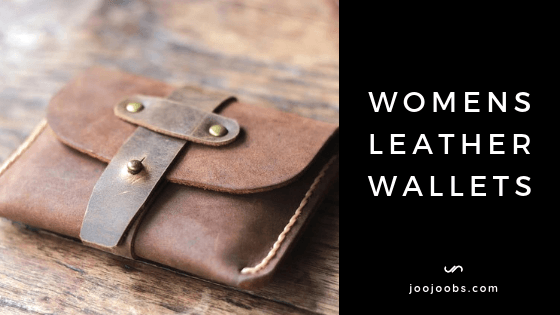 Are you looking for an inexpensive gold anniversary gift? Then this fantastic gold ballpoint pen is perfect for you! This comes in a stunningly unique green leather case. These are perfect for customization too, allowing you to engrave a little reminder of your love for your husband on the pen. Whether he’s writing something at the office or signing checks to make payments, when he pulls this pen out he’ll consistently have a little note proclaiming your love for him and acting as a memoir of the 50 years of happiness you’ve given one another! If you’re in need of a masculine wedding anniversary gift for him, know your husband will love the beauty incorporated in this Damascus Steel Ring with Round Brilliant Green Emerald Stone is impressive! This ring is super unique, providing you with a gift that will leave his mouth agape. After 55 years of marriage, this handmade ring forged out of the finest steel is sure to give him joy as he tries it on for his first time. This is a 6mm wide Damascus steel ring with a 3mm round green emerald stone. They also use a 14K white gold bezel to hold the stone firmly in place, ensuring the stone will never fall out of the ring! You’ve made it incredibly far into your marriage, 6 decades to be exact, and you’re wondering what in the world you should get for the love of your life. There are a wide variety of diamond options that are out of this world gorgeous. One of our personal favorites is the Diamond Two-Tone Band in Stainless Steel. The ring isn’t too flashy and has the perfect amount of elegance for any man to feel comfortable wearing it. It’s beautiful while still maintaining the masculinity that a man should have when wearing jewelry. This being said, this ring sports a trifecta of beautiful circular diamonds that will undoubtedly complement your husband’s finger while allowing his wedding ring to maintain the spotlight! Your husband has been your protector for 7 decades now, undoubtedly making him the leader of your family. You’ve made it this long together and there is nothing that can separate the two of you. He’s the lion of the family and you’re his lioness. To commemorate the 70 years you’ve spent together, we found this gorgeous platinum-plated Lion Head Necklace. This necklace says he’s the only man in your life and your respect and admiration for him is never ending! We’re sure he’ll love what this necklace proclaims to him on your 70th wedding anniversary. Your marriage has lasted 75 years and the time is nowhere near enough. Speaking of time, Avianne & Co. offers a Diamond Unisex Watch 3.50 Ctw that is in our opinion the best gift imaginable for your husband after 75 years of love and devotion. This watch is simply stunning and with diamonds found all along the circumference of the face, it fits the need for this diamond anniversary gift! 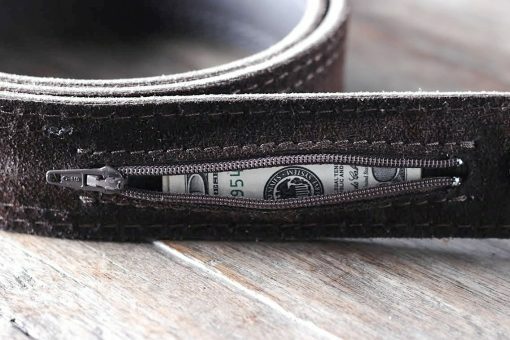 The leather band is gorgeous as well, bringing a level of sophistication that a 75-year marriage embeds in a man’s mind. We’re confident your husband will appreciate all this watch will do for his style while always remembering precisely why he adores you! Go here to see our gift guide for the ladies! 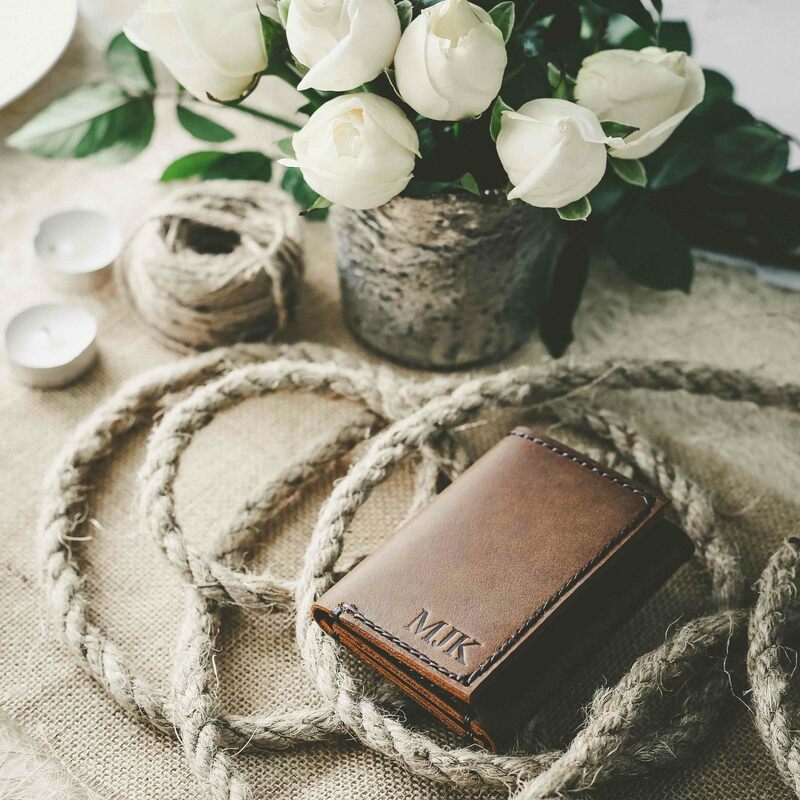 Also remember to check out our featured article on Rustic Wedding Gift Ideas. Go here to see our guide on why each of the wedding anniversary meanings.